Guest Bio: Tan Nguyen is the President of the Australian Dental and Oral Health Therapists’ Association (ADOHTA). He began his career as an oral health therapist at community health dental clinics after graduating from The University of Melbourne. He currently teaches at the Melbourne Dental School, is an Honorary Fellow with the Oral Health Research Stream, Deakin University, and works clinically in both the private and public dental sectors. He holds qualifications with the Master of Public Health, and the Master of Science in Clinical Education. His research interests include economic evaluation of health services research, and has keen interests in public health, preventive care, children’s dentistry and teledentistry. Tan was appointed President of the Australian Dental and Oral Health Therapists’ Association from 2017. He holds several community committee positions including the National Oral Health Alliance, Dental Health Services Victoria Population Health Committee, and the Melbourne Dental School Curriculum Advisory Committee. He has been successful with several research grants, published peer-reviewed publications and presented in local and international conferences. 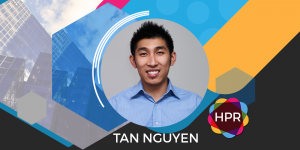 Segment Overview: In this segment, Tan Nguyen joins the program to talk his organization the Australian Dental and Oral Health Therapists’ Association (ADOHTA). ADOHTA is a representative body that proudly promotes the dental and oral health therapy profession by maintaining its goal to achieve growth and development in dental and oral health therapy across Australia. He discusses about their biggest ongoing events and clarifies some misconceptions surrounding the oral health therapy profession. Tabetha Moreto: Hello everyone. Welcome to Health Professional Radio. I’m your host for today, Tabetha Moreto. Our guest today is Tan Nguyen, Honorary Fellow from Deakin University and the President of the Australian Dental and Oral Health Therapists’ Association. He’s here to talk about his organization. Without further ado, welcome to the show Tan. It’s so nice to have you here. Tan Nguyen: Thanks, Tabetha. Thank you for the time and the energy. So I reached out to the association to discuss what we can offer to the dental community. T: My pleasure. Can you tell us something more about your background? N: I certainly do. As you’ve mentioned, I’m the current President of the Australian Dental and Oral Therapists’ Association. So we are the peak representative for oral health practices including dental therapists, dental hygienists and oral health therapists and the dental practitioners who work as members of the dental care. We provide high quality and cost effective dental services to the community. T: Very interesting. Where do you do it? N: As an oral health therapist, I went to number of areas. As you’ve mentioned, I am a current research fellow at Deakin. My primary role is working in clinical practice in the private and public sector. We provide dental services that are very preventive … and this includes things like dental check-ups, x-rays, fillings, sometimes removal of baby teeth as required, teeth cleaning and fluoride treatment. And so my role has sort of been providing dental services to the community and also have a teaching role at the Melbourne Dental School as well. So we’ve been around for over 50 years and so we’ve been involved in a lot of government services particularly around school, dental services and have a greater role now in primary health care and residential aged care facilities as well. T: Fantastic. Can you tell us why is your organization relevant especially to health professionals? N: Well first of all, for a large number of your audience, we’ll probably know that they’re probably not familiar with who a dental hygienist in service or oral health therapist who they are and what they do. And so I think, it’s quite important that health professionals have a good understanding of who else can provide dental services not just seeing a dentist. We’re trying to increase our visibility to not only the general public but also to our professionals in general and as you’re aware, as I mentioned that we do provide safe practice to the community alongside dentists as a part of a dental team for over 50 years. T: That’s amazing. So tell us what’s going on with your organization now? What is your biggest current event, issue or strategy now? N: I say at the moment, we have been notified and we’ve been working with the … authorities here in Australia within a meeting with ministers and their advisers looking to see what kind of changes could be achieved to increase the capacity for our profession to provide more preventive, effective services to the community. And this means that we can potentially at the moment, with the proposed changes by the Dental Board of Australia that we’re looking to extend how we can improve the healthcare system by providing more preventive focused dental services and cost-effective care to those who are currently accessing affordable access to dental care and it’s roughly about 50% of Australian population. So that’s why we’re on radio right now is to inform that the current work and proposed changes is certainly something beneficial that would hopefully have an effect on the Australian community but also more globally as well, because we know that there’s a strong interest for our profession in other countries doing training programs to train dental therapist. T: That’s good to know there’s an organization like yours that is very passionate about oral health. N: Thanks, Tabetha. I think it’s important thing and it’s something that hopefully we can start to engage a conversation more to the broader health community that oral health is just as important and integral to general health and wellbeing. T: That’s right. Now Tan, let me ask you something. What is the biggest misconception the public has about you or your organization that drives you nuts and it keeps you up at night? N: That’s a really good question. And I think it’s related to the fact that many people still don’t know that many of these dental services that have been provided here in Australia are provided by dental hygienists, by dental therapists and oral health therapists. A lot of the consumers that we provide care for still think we’re dentists … because some of those issues are of the specific care that we provide currently remains invisible because we can’t directly bill for services with a provider number like the rest of the other health professionals. So it does limit our capacity to provide dental care to the remote and underserved areas of the community and those who currently have unmet needs and these are particular people who don’t currently have good access to care. So we’re trying to get the word out there that you don’t necessarily need to see a dentist to have good dental care provider. T: Excellent. Thank you so much for clearing up those misconceptions. N: Thanks Tabetha. Thanks again for your time. T: Yes. But before we go Tan, what is your main takeaway message to all of our listeners out there. What would you like to tell them? N: Outside of key thing is that in a … an audience is that oral health is fairly an important part of general health and wellbeing and that is important to recognize that there are other health professionals who can also assist you to improve the oral health of consumers and clients that we’re looking to improve and conserve. T: Fantastic message. And lastly for those who want to contact your organization, how can they do that? N: So they can contact us on our website. We have a website that I can provide our contact details there, adohta.net.au. They can email us or even call us to find out more about what we do in terms of the advocacy space and improving the oral health of the Australian population. T: Thank you so much Tan for coming on the show. It was fantastic having you. N: Thank you Tabetha once again and have a good day. T: And that was Tan Nguyen, the President of the Australian Dental and Oral Health Therapists’ Association or ADOHTA. If you liked this interview, transcripts and archives are available at www.hpr.fm. We’re on all social media platforms so don’t forget to follow, like and subscribe. Show us some love by subscribing to our HPR YouTube channel. We’re also available for download on SoundCloud and iTunes. I’m Tabetha Moreto and you’re listening to Health Professional Radio.